Harley Bird & Co advocate responsible pet ownership. Owning a parrot is a very long term commitment, sometimes exceeding your own lifespan, depending on breed. They deserve stability in their home environment, and require quality food, enrichment activities and suitable housing for their mental and physical wellbeing. They will require proper avian medical treatment at times in their lives, and their owners need to have planned for this. Parrots will use their voices, and their humans need to accept this with patience. Parrot owners must be prepared to take the time to learn how to interact with their birds in an appropriate way to ensure that an optimum environment is maintained for them. 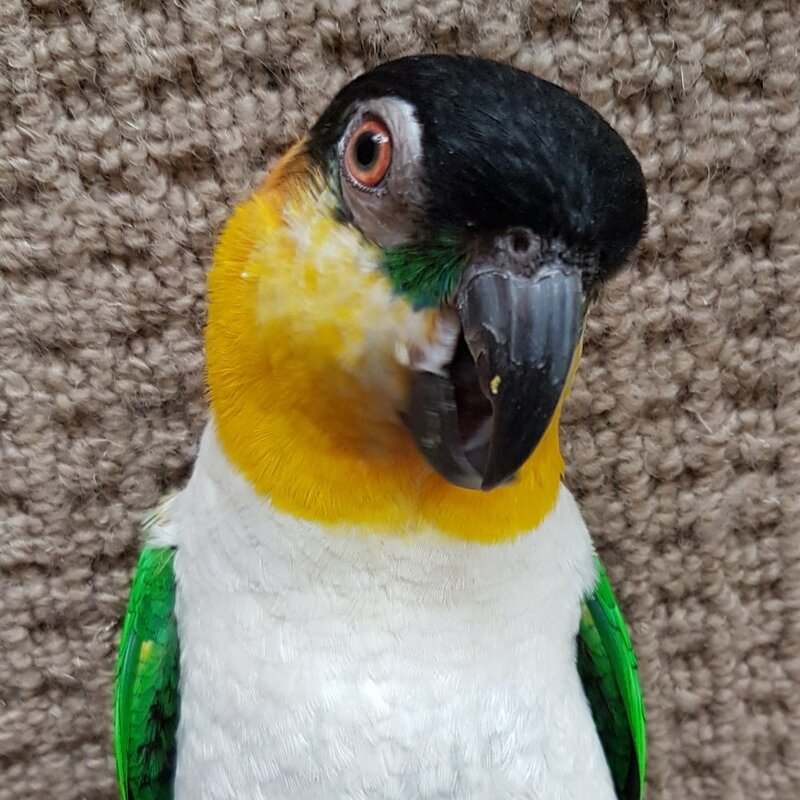 Harley Bird & Co suggest that you contact your local Parrot Society or avian vet for advice on responsible parrot ownership before making any purchasing decisions. For everywhere their human went, the flock was sure to go! Harley, Quinn, Goblin and Gidget make up the core flock that nests at Lilly Pilly tree. They have grown up together, and all have their little quirks and strengths. Harley Bird & Co live happily together, and are seldom far away from each other. Despite their different native languages, they have learnt ways to talk to each other about the day's antics. Harley and Quinn are lifelong partners, and best friends. Goblin and Gidget are getting there... most days they love each other and share their toys. May they bring you as much joy as they have their human. Check out their YouTube and other social media channels! Harley is a cowardly lion. He has taken responsibility for protecting the flock, and being the 'head' of the household. But he is very quick to alert the flock to danger and then go and hide. He is gentle and loving, needing many snuggles. Harley loves to wrestle with Quinn. He is often driven by his stomach. He is clumsy and strong, with ticklish toes! 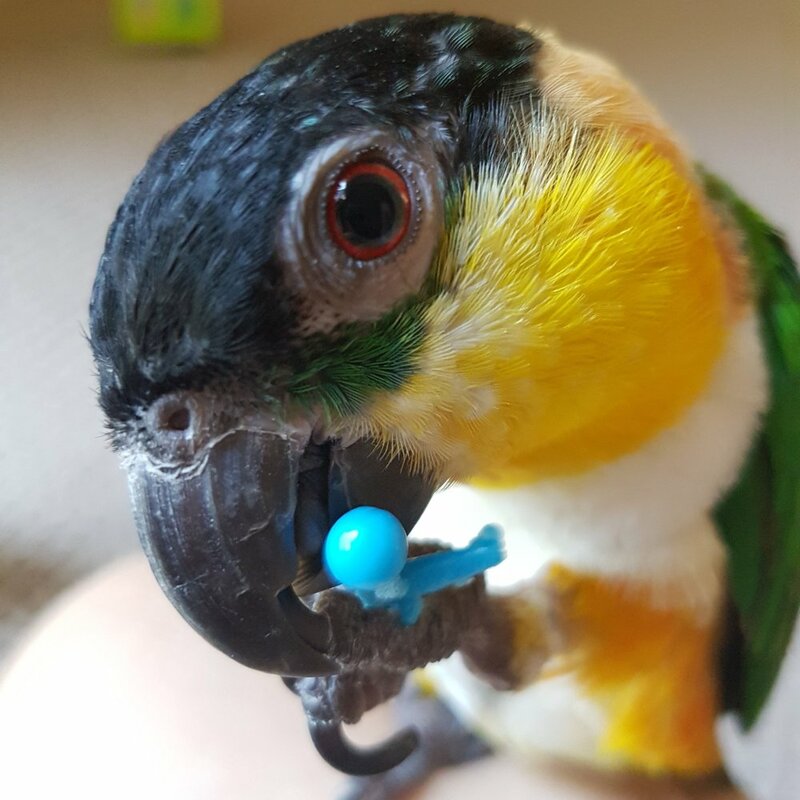 Favourite Toy / Game: Any birdie food puzzle. If it can be taken apart, Harley will find a way! Quinn is a very thoughtful young lady. She thinks about everything she does, and as a result can be very stubborn if others do not go along with her way! She likes to play games on her own at times, but she will always go looking for members of the flock that she feels should be joining in with any adventure. She will nurture you when needed. Favourite Toy / Game: Tissue destruction or a mini Tennis Ball to balance on. Goblin is a very caring little man, ready to give loving pep talks. He loves to be a part of what everyone is doing, and help put things together. He loves attention, and giving attention, and will always be the first to 'photobomb'. The youngest of the flock, Gidget is also the most playful. She loves throwing things, and seeing what happens. Gidget loves to explore new spaces, and might not always think before she acts. Gidget is caring, and loves to keep you company. She can be quite protective over what she believes to be hers.